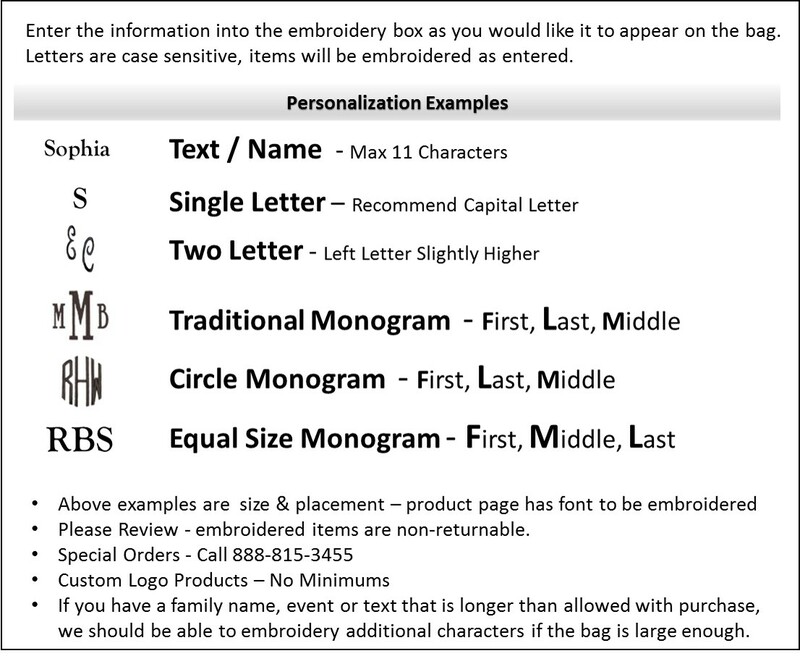 Monogrammed Damask Travel Tote. A classic pattern tote bag in a damask pattern fabric. Soft design of grey and white. The perfect travel bag with a roomy interior for weekend getaways. Hand carry, lined with inside zipper pocket and large side to side top zip opening. Over the shoulder adjustable carry strap. 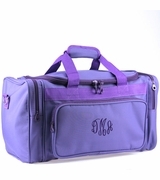 Also available a damask cosmetic case search item WB-M240GRYFL or shoulder tote item WB-M450ELLA. 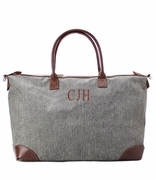 Add a name or monogram to complete the travel tote in your choice of thread colors. 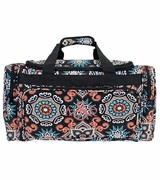 Embroidered damask travel tote bag measures 21"W x 16"H x 11" across a supported bottom. Great product, great quality. Can't beat the price and delivery time.